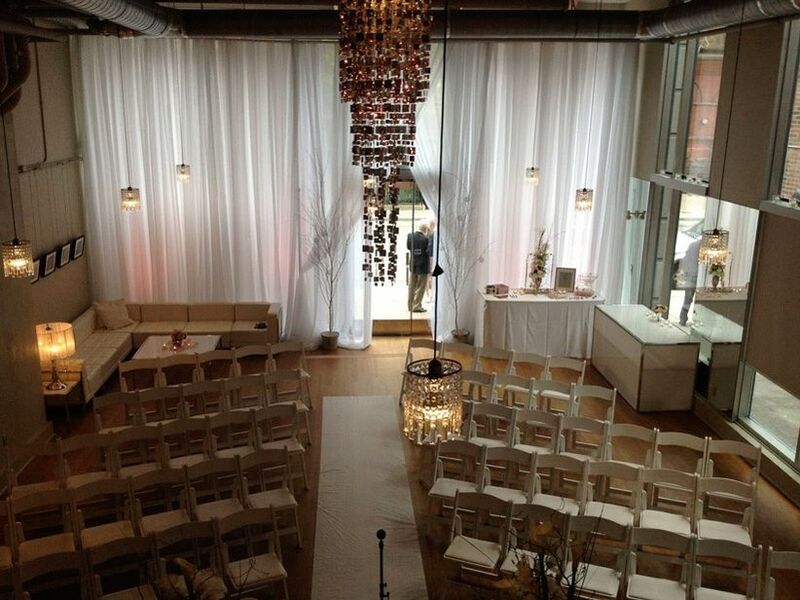 The Top 10 Loft Wedding Venues in Toronto | Wedding Ideas ARE YOU A VENDOR? 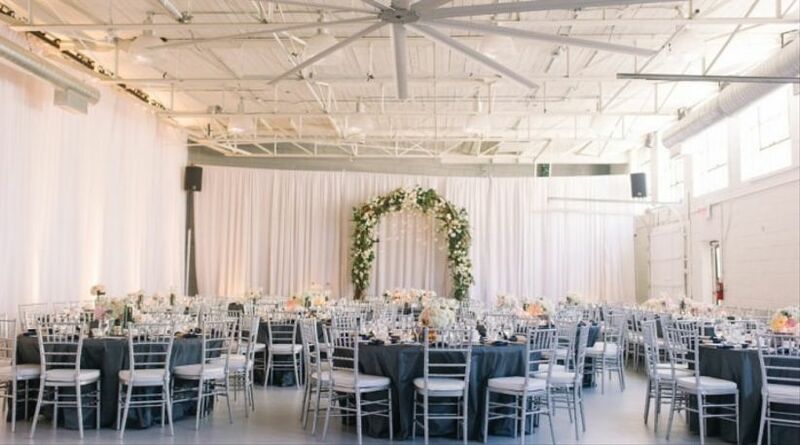 Want your wedding day to be an industrial chic dream? 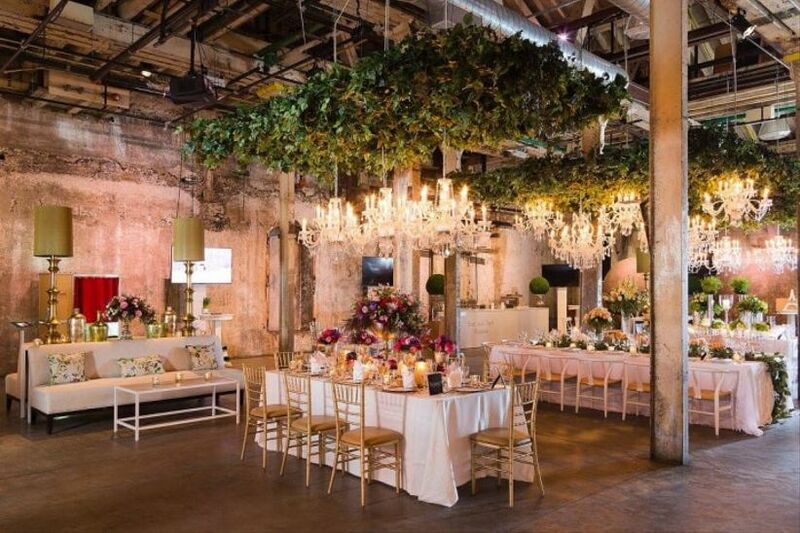 Toronto is the place to find loft wedding venues. From revamped warehouses to renovated heritage buildings, this city has it all. 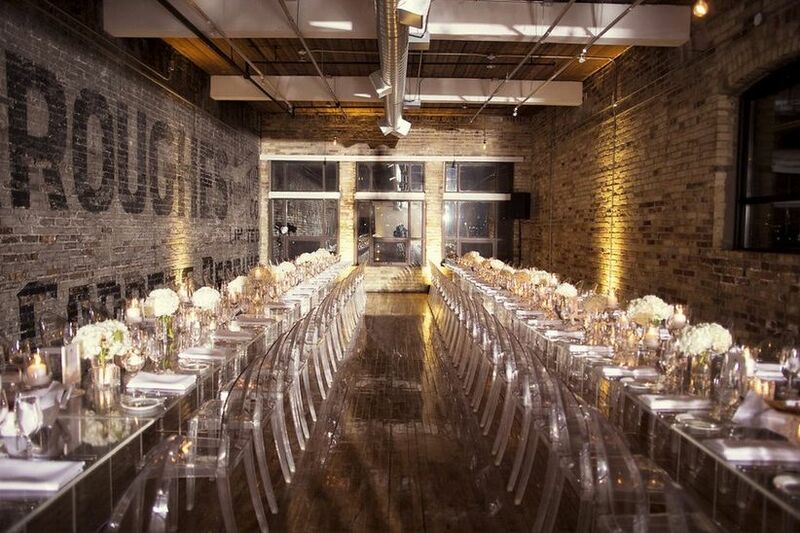 Lofts are chic industrial spaces that can be transformed into stunning wedding locales. 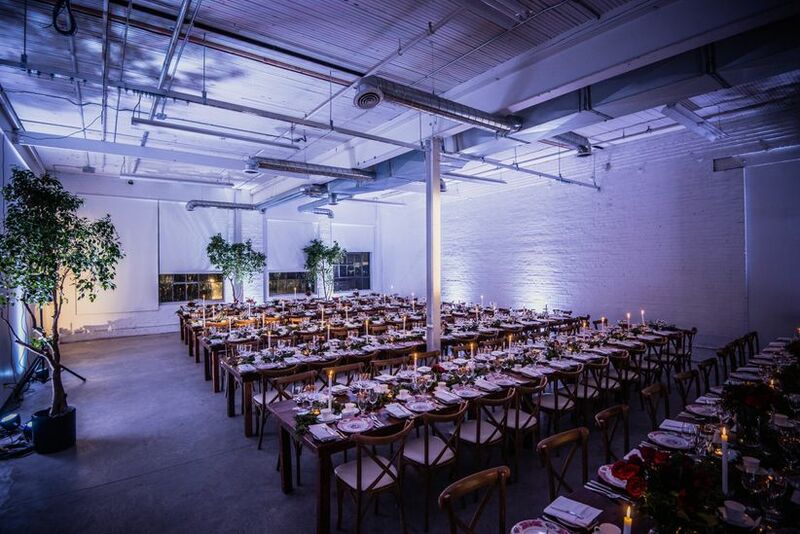 With all its refurbished warehouses and heritage buildings, it should come as no surprise that Toronto has plenty of loft wedding venues to choose from. 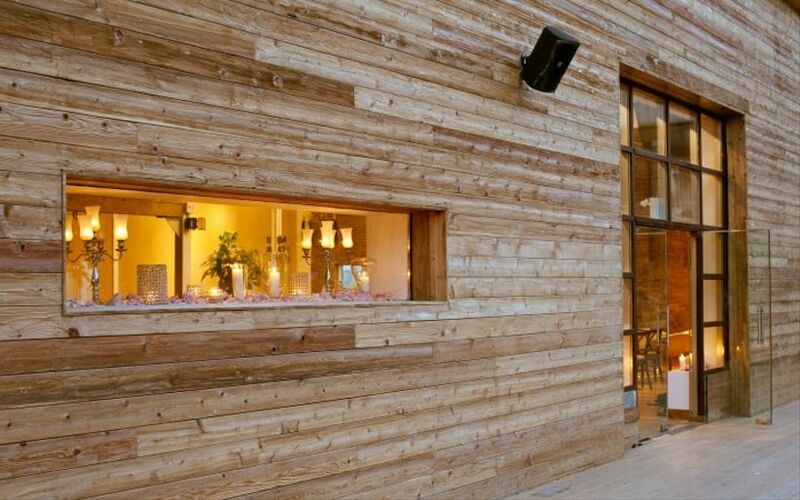 If you’re on the hunt for the perfect brick and beam building to say your “I dos” in, read on. 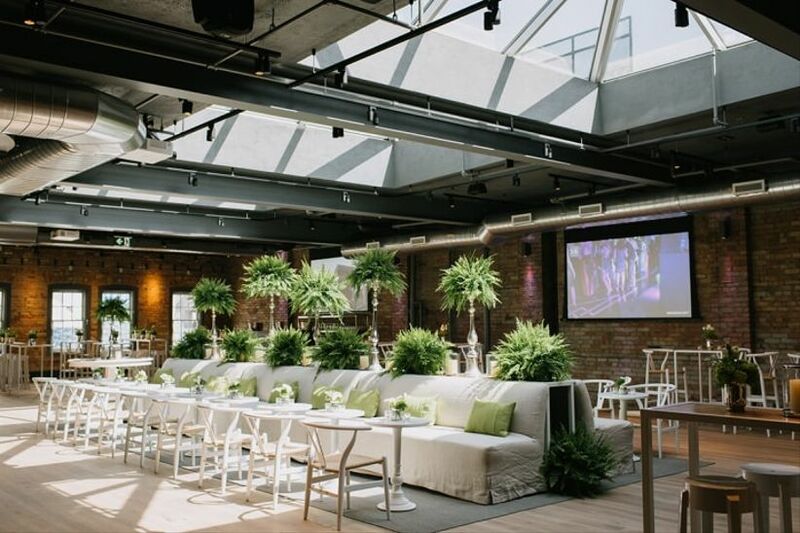 Here are some of the top loft wedding venues in Toronto. Smack in the middle of Toronto’s Studio District you’ll find District 28. The building was once an abandoned warehouse but got a serious makeover that transformed it into a beautiful, modern event venue. It boasts three studios, an in-house screening room, a restaurant and a reception area - giving you options for both your reception and ceremony. Each of the studios are prime picks for weddings, Studio 1 has capacity for 400 guests, Studio 2 has capacity for 70 guests and Studio 3 has capacity for 120 guests. Couples tend to host their receptions in the screening room and reception area to take advantage of all the space. Up in North York there’s the stunning York Mills Gallery, a 22,000 square foot event facility with an industrial vibe. 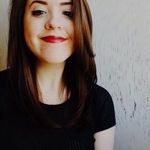 Thankfully, the space comes equipped with plenty of decor, including ballroom chandeliers, floor to ceiling drapery and leather lounge furniture, so you won’t need to do a ton of outsourcing. 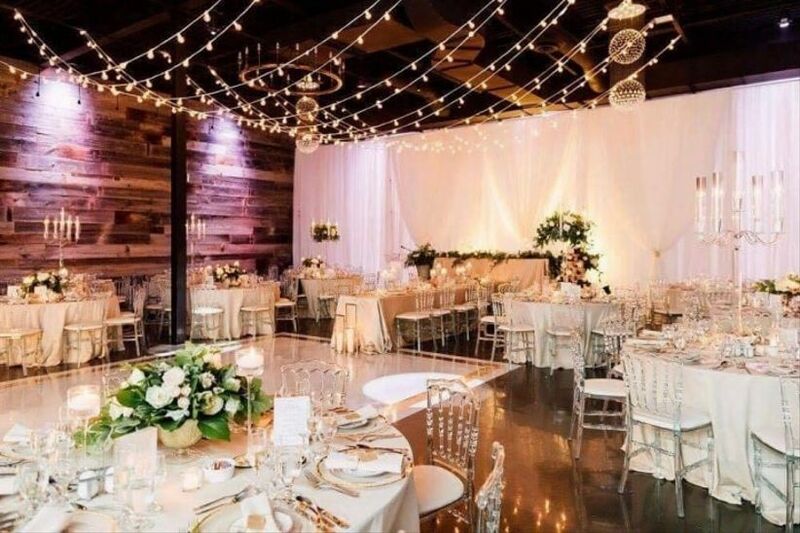 The space is separated into three distinct parts: a banquet hall, ballroom and restaurant - all of which are available for ceremonies and receptions. It can accommodate up to 650 guests (or 850 for cocktail receptions). Oliver & Bonacini is behind many Toronto’s top eateries, including one of the top rehearsal dinner spots in the city, Canoe. But, good news, the company isn’t limited to restaurants, it does amazing event spaces as well. 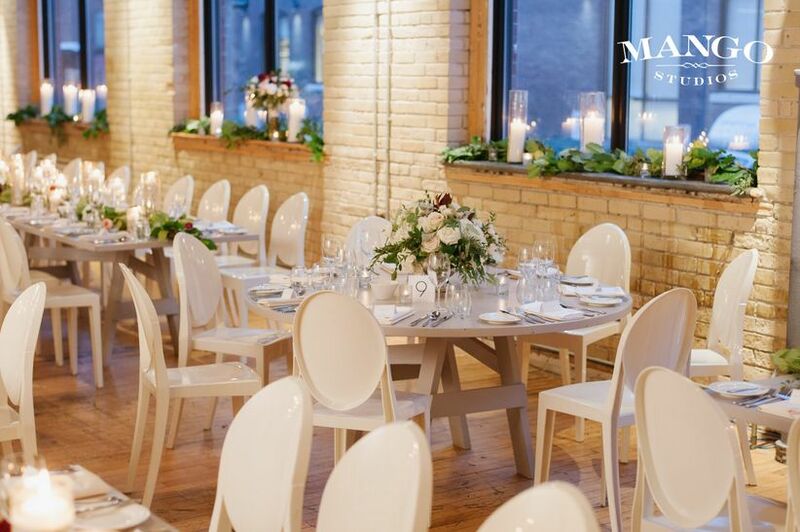 The Aperture Room, located on the third floor of the Thornton-Smith heritage building, is a stunning loft wedding venue that can hold up to 120 seated guests. The building used to be home to The Camera Exchange in 1966, inspiring its current name. Inside you’ll find restored hardwood floors, exposed brick walls and massive skylights (perfect for taking your wedding photos). 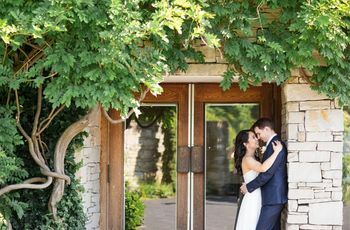 2nd Floor Events is the ideal wedding venue for couples who love the hustle and bustle of downtown T.O. It’s located just a hop, skip and a jump away from Drake’s hotspot, Fring’s - another amazing rehearsal spot - as well as plenty of other eateries and shops. The 3,000 square foot open-concept venue gets plenty of natural light and flaunts exposed brick walls and a huge 36-foot custom bar. Its capacity is 180 seated guests. The Burroughes has come a long way since its humble beginnings as a department store in 1907. In 2006 the Queen Street Partners purchased and transformed it, filling the building with a gallery, office suites, retail boutiques and - of course - event spaces. 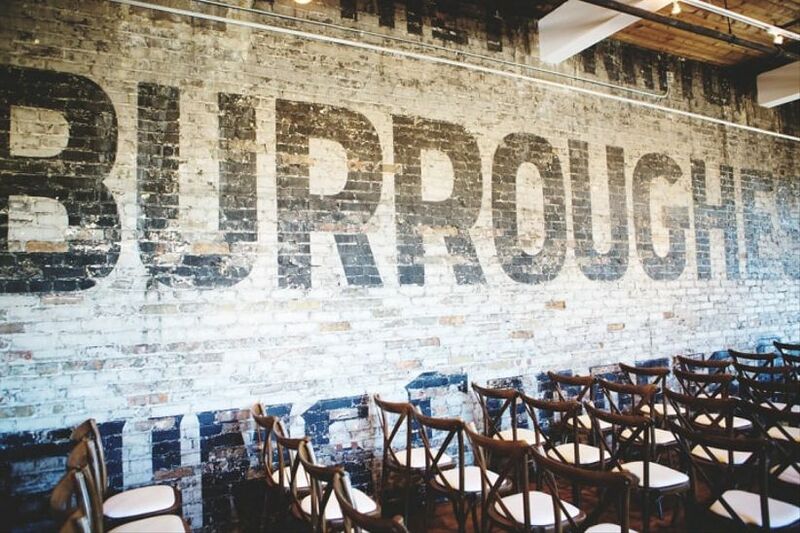 While it’s undergone quite the facelift, The Burroughes has maintained its original charm with exposed brick walls, restored elevators and wooden details. 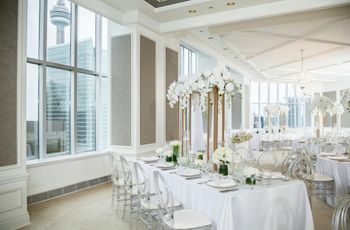 Depending on which floor you choose to host your big day on, the space can hold up to 450 guests. 99 Sudbury is one of the city’s most beloved event venues, known for hosting killer halloween and NYE bashes. But have no fear, it can be transformed to suit more elegant affairs, like your wedding, too. That’s the beauty of lofts, they’re truly chameleon-like spaces. This particular one has textured brick and glass walls, exposed beams and enough room to seat 250 of your closest friends and family members. 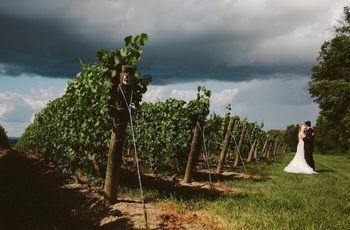 Hail from the west side and want to keep your wedding close to home? Try 5 Brock Events. 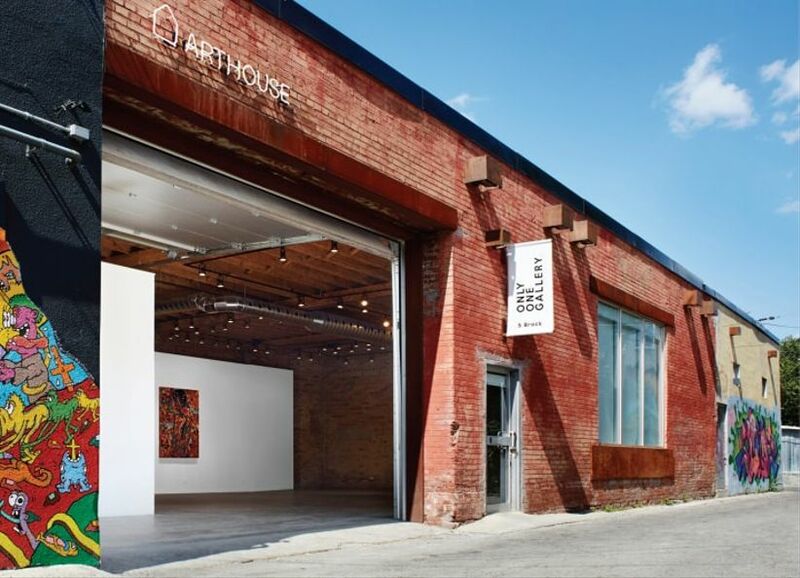 This Parkdale venue has all the bells and whistles: movable art walls, LED lighting and a fully-equipped commercial kitchen, making it a little more interesting than your average loft. The 3,000 square foot space is large enough to fit 150 seated guests. 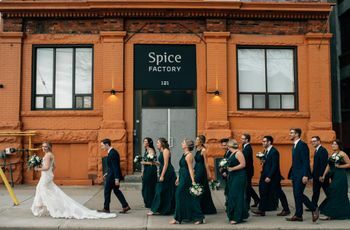 Head to the Distillery District and you’ll find this aptly named loft wedding venue on the mezzanine level of The Boiler House. The wood-heavy space is the perfect blend of contemporary and industrial, with vintage art and decor as well as a few modern flourishes. The Loft is one of the cozier options on this list with a capacity of 80 seated guests, making it perfect for those who want a loft atmosphere without the enormous space. The Distillery District is also home to Airship37, a 25,000 square foot loft near the corner of Parliament and Mill Street. If you and your soon-to-be spouse are aviation fans, then this is your best bet in the city. The main space, playfully dubbed “The Hangar”, features a genuine aircraft rotary blade which adds some interest to the otherwise minimalist space. The venue also boasts a smaller lounge space, a vintage trailer (which you can use to prep for your big walk down the aisle) and an astroturf outfitted patio. Its capacity is 180 seated guests in The Hangar and 60 seated guests in the smaller Gooderham Lounge. Make your way to Toronto’s Fashion District and you’ll find The Richmond on - you guessed it - Richmond Street. Here you won’t find any exposed brick, only sleek concrete, differentiating it from the other contenders on this list. The ultra-modern space is a completely blank canvas that can be transformed into your dream venue. It’s on the smaller side, with enough room to seat 75 attendees.